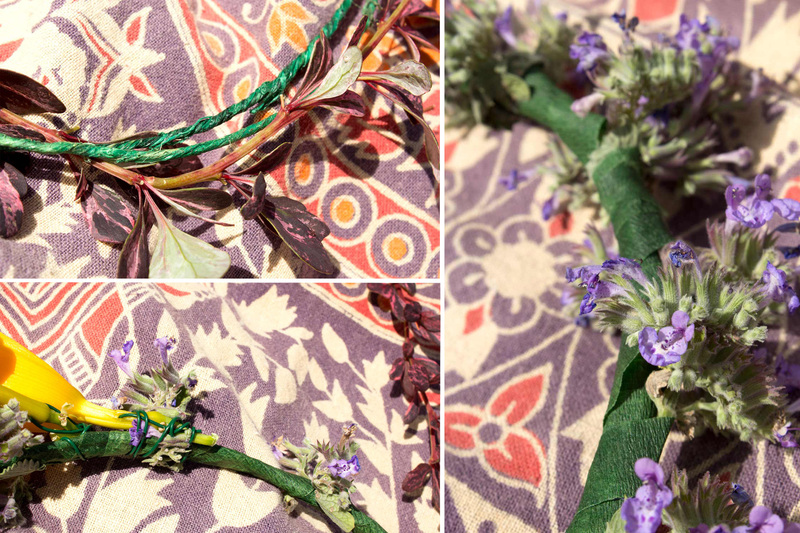 Flower crowns are retro, romantic and full of those hippie vibes we love at Soul Flower. 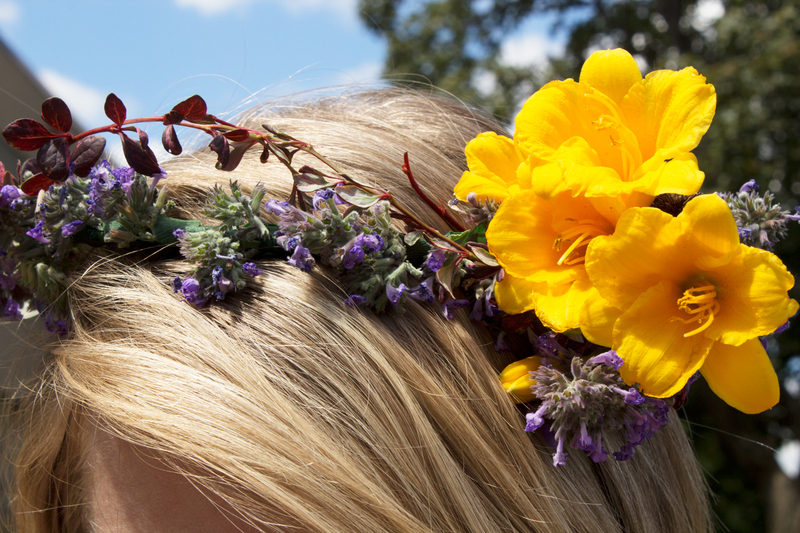 We especially love the hippie flower crown, reminiscent of the 60’s summer of love. Whether you’re spending a day around the house, heading to a party, or on your way to a festival, a hippie flower crown is a simple, natural, and unique accent to any free spirit’s summer wardrobe. 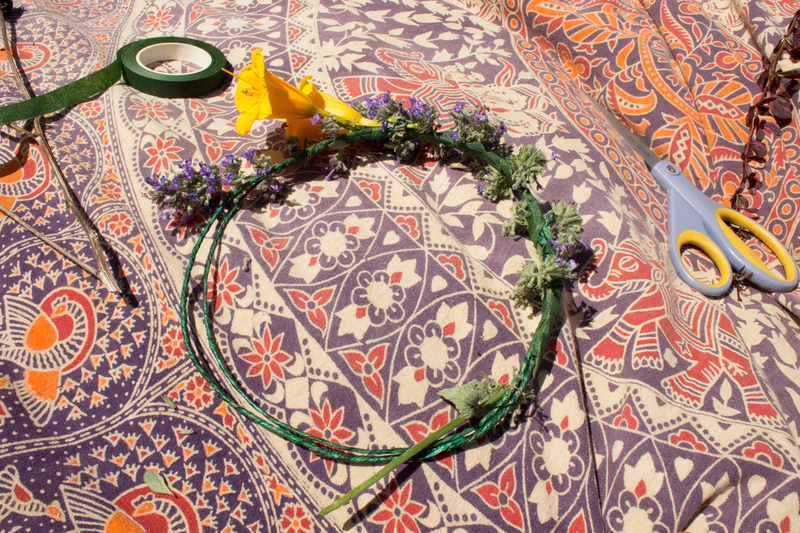 Read on to learn how to make your own DIY flower crown headband and let your hippie soul shine! 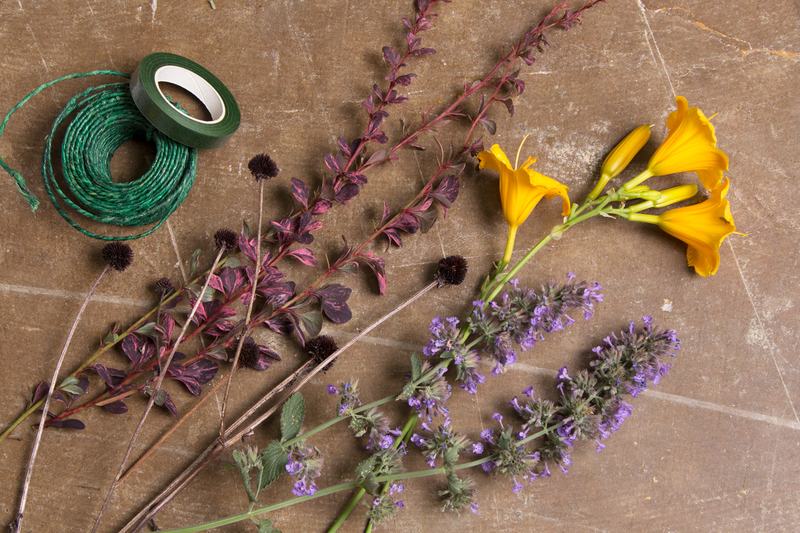 Start by heading outside and selecting your flowers! 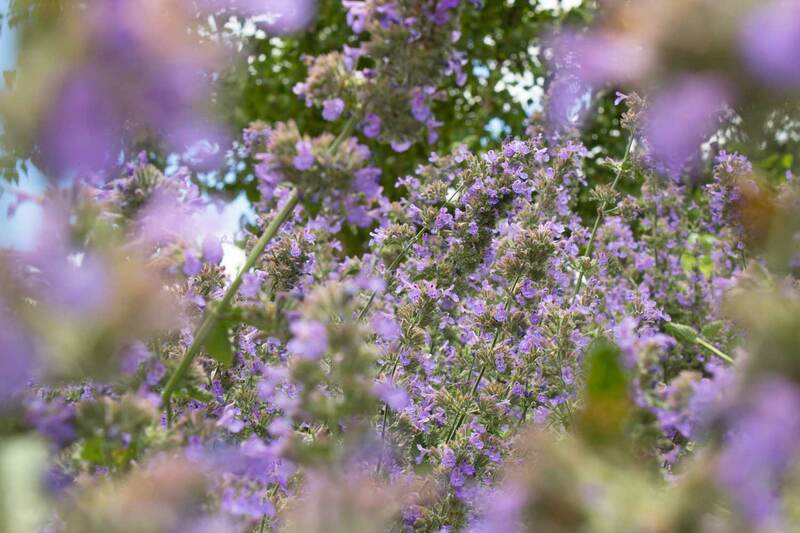 Be sure to only pick flowers that are legal to pick, safe (not poisonous or thorny) and are not endangered. 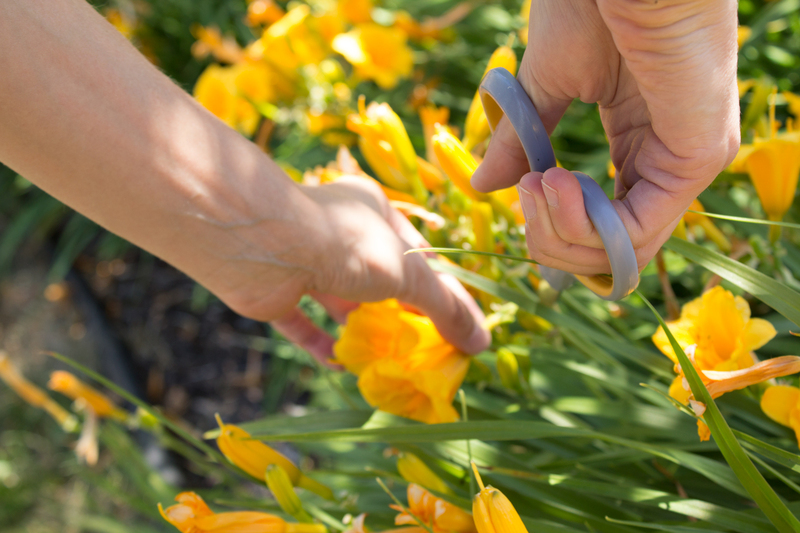 If you or a friend has a flower garden, that’s the perfect place to start! Luckily, we had a plethora of plants to choose from in the garden right outside the Soul Flower headquarters in Minneapolis. After you’ve located and selected all your supplies, measure the circumference of your head using floral wire and wrap it around your head twice. 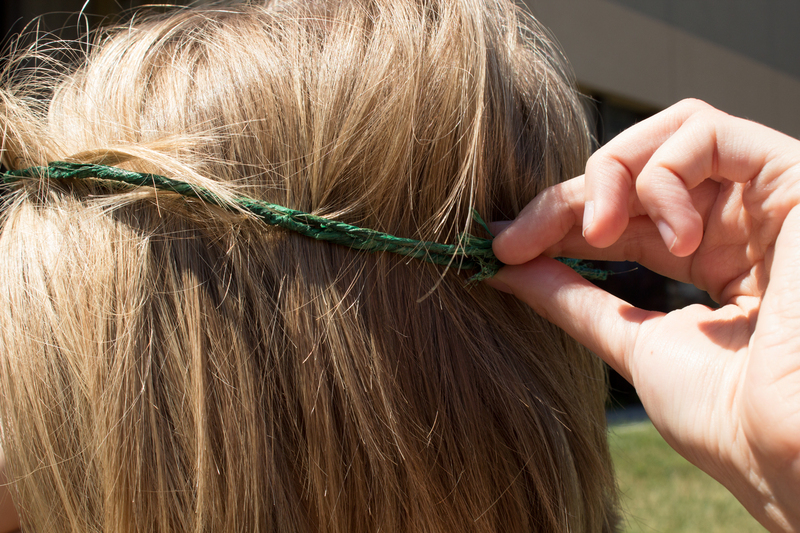 Cut where it overlaps and either twist or tape the ends together to make the base for your crown. 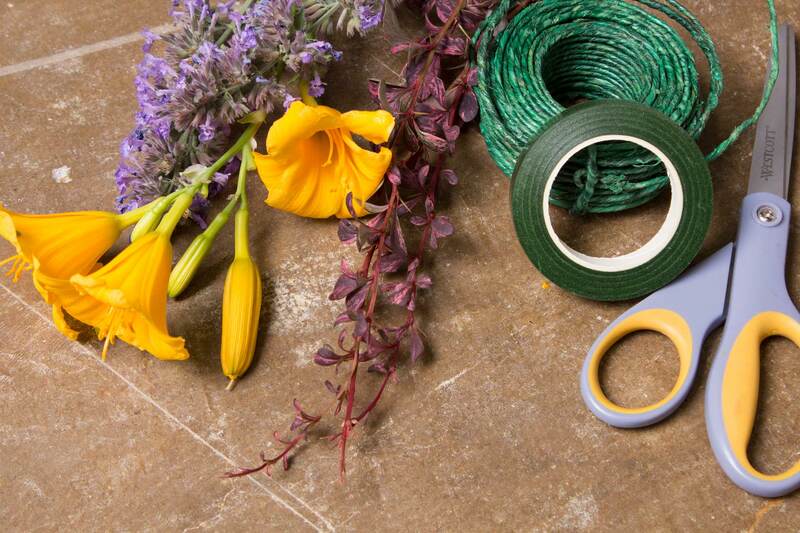 Start with plants with long tendrils or stems and begin to wrap them around your crown base, securing them with florist’s tape as you go. Find your brightest and boldest flowers to use as accent pieces near the front of your crown. 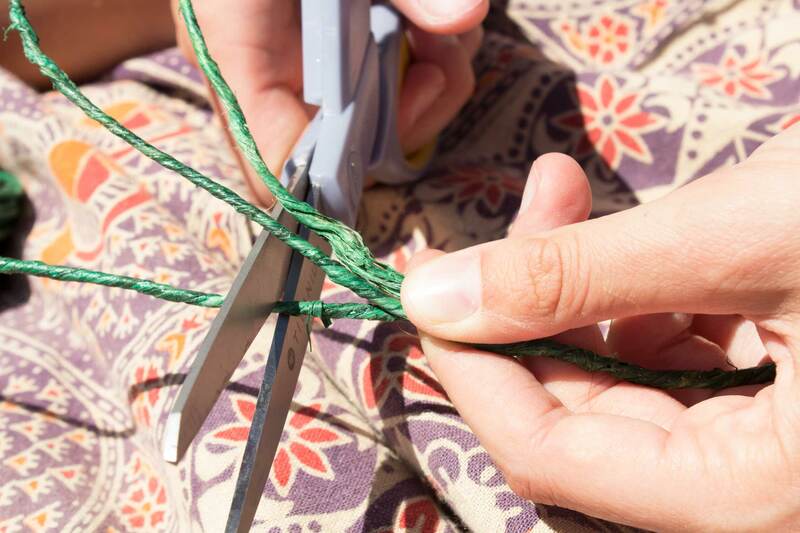 Secure these with more wire and tape to give it a finished look. Once you’ve covered the entire base of the crown with flowers and finished it off with florist’s tape, you’re done. Be sure to complete your look with some hippie festival clothing from Soul Flower! 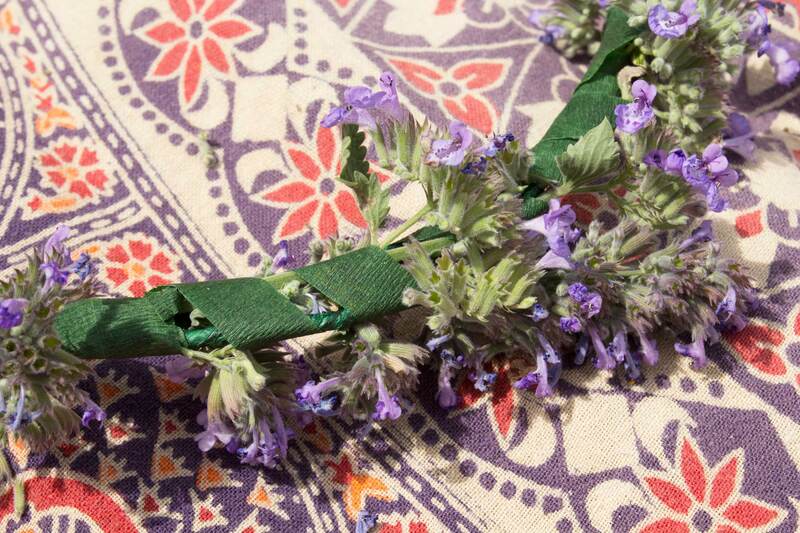 To keep your flower crown fresh for a couple of days, take a plate and place a damp paper towel or tea towel on it. Lay your flower crown on top and add one more slightly damp paper towel or tea towel. Then store it in the fridge for up to three days. If you plan to dry it out and keep it as a decoration, aim to use flowers that dry well like lavender and rosemary (plus they smell great!). 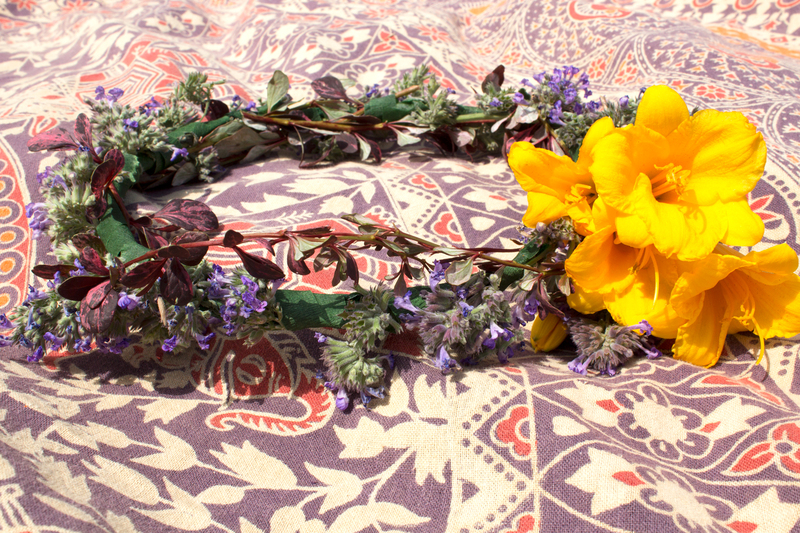 We hope you love your new hippie flower crown – now get out there and spread some peace, love and happiness! Thanks so much for sharing!! I’ve been wanting to make some flower crowns!